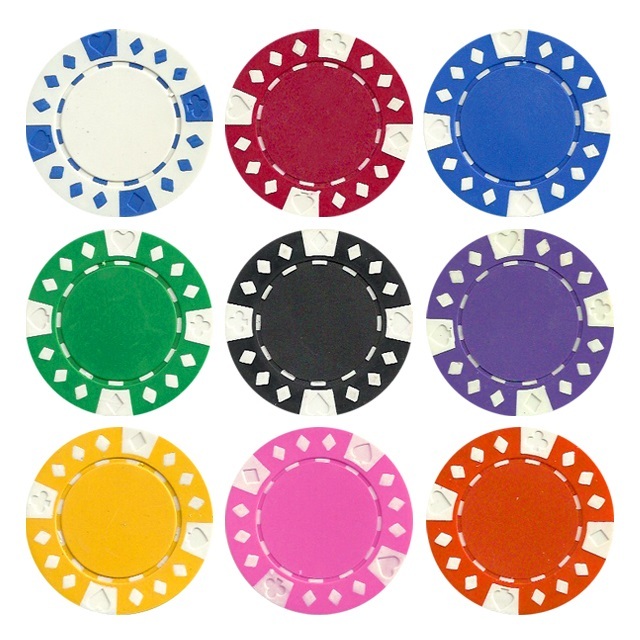 The bulk Diamond Suited poker chips are an 12.5 gram composite chip. They have the diamonds and the 4 suits imprinted around the chip face. The bulk diamond suited chips are available in 9 colors. 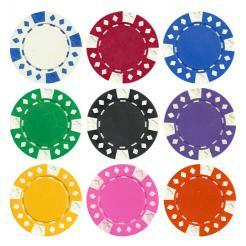 The Diamond Suited bulk poker chips can be customized. You pick what colors/denominations you want to make up your bulk chip set. Just enter the quantity into the box next to the chip. Must be in quantities of 25 chips.